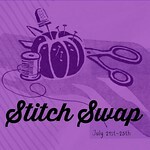 As I mentioned on Monday, I am participating in Stitch Swap and I received this cool Velocity fabric by Jessica Hogarth from Roxanne of PenSebRox. 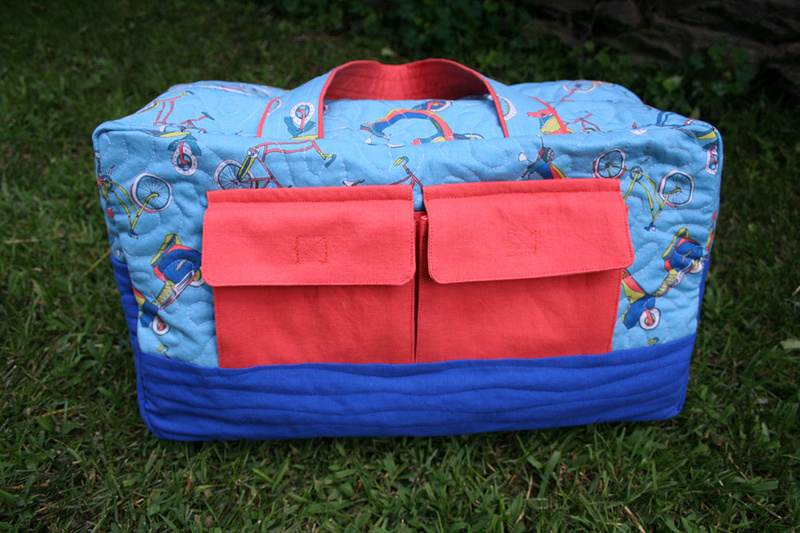 The fabric has bikes and scooters on it and conveys movement and going places, so I decided to use it to make a duffle bag that our family could use on our summer travels. 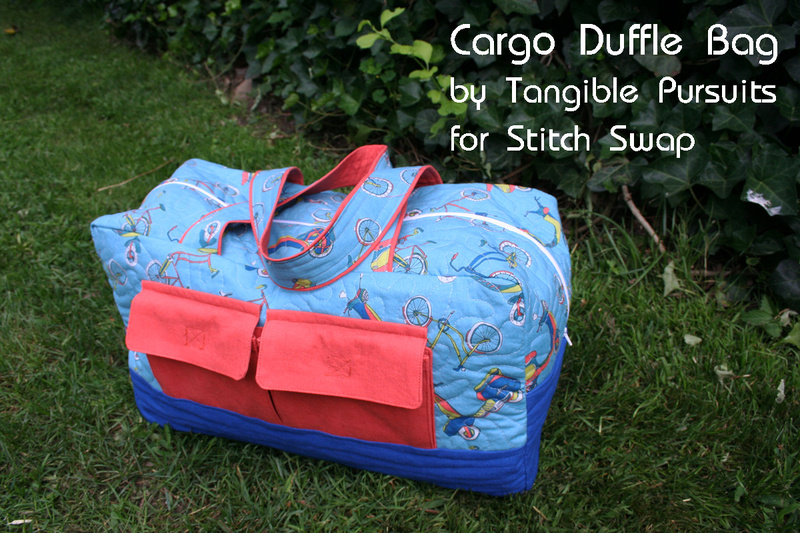 I used Noodlehead's free Cargo Duffle Pattern. I really like this pattern - I used it before to make a gift for my mother-in-law and right after I finished that one I wished I had one for myself as well, so this was the perfect opportunity. 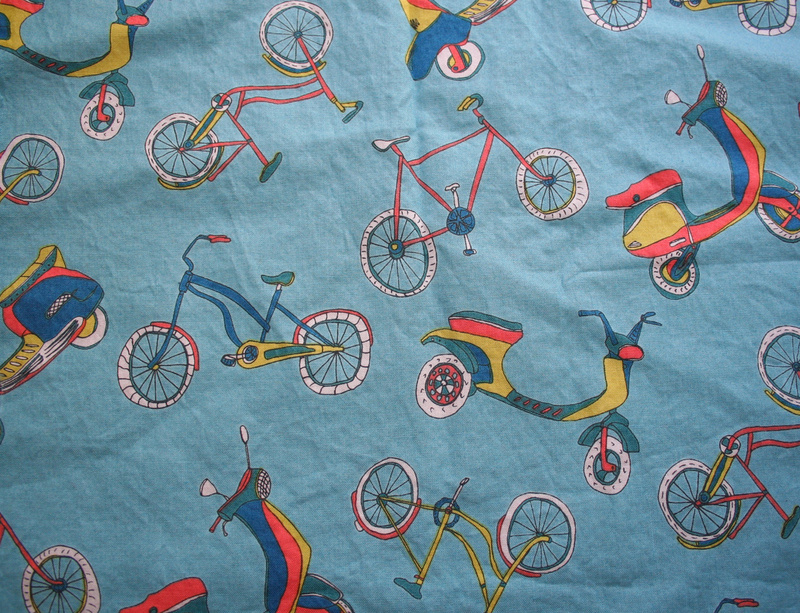 I purchased some linen blend fabrics to coordinate with the Velocity print. I used Kaufman Essex linen blend in Orange for the pockets and handles and Kaufman Essex Linen Blend in Indigo for the bottom panels. I would note that the orange is almost a coral color and the Indigo is more of a royal blue, but both coordinated very well with the velocity fabric. For the inside I used a mustard-colored duck canvas which also coordinates well with the fabric and makes the interior nice and bright. I bound the seams with a white kona cotton. 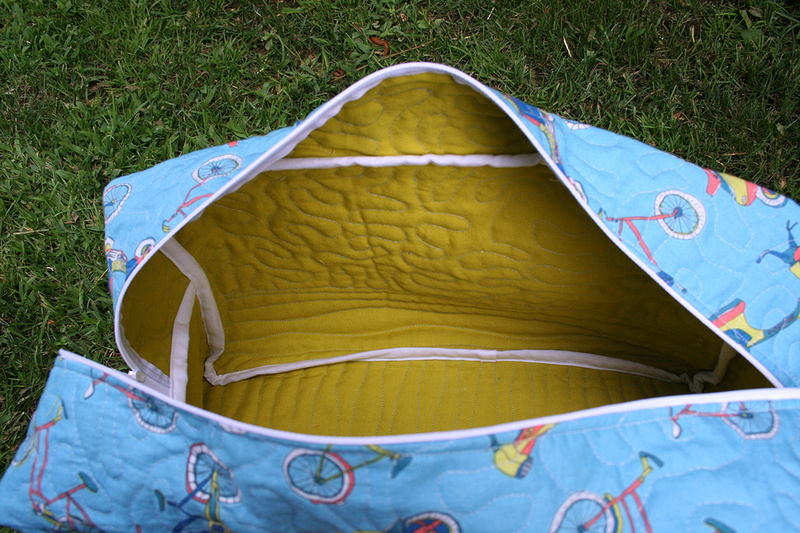 I made the same change to the pattern as I made last time I made it - i widened the side panels to 9" rather than 6.5" for a roomier duffle and I used velcro instead of snaps on the pockets. For the quilting, I did a meandering design on the upper portions and wavy lines on the bottom. I like how both patterns add to the feeling of movement in the fabric, which is perfect for a bag that is meant to go places! 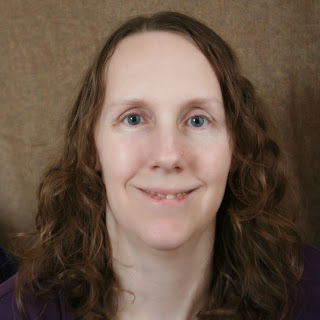 Don't forget that Sunday is the last day of the 25% off sale in my Craftsy store (affiliate link)! Megan -- Upcycling? Refashion That Idea. That bag is so cool! I'm so jealous of people who can make bags. Something I need more practice! Thanks Karly! Sewing bags is not that different from sewing clothes, you can do it! 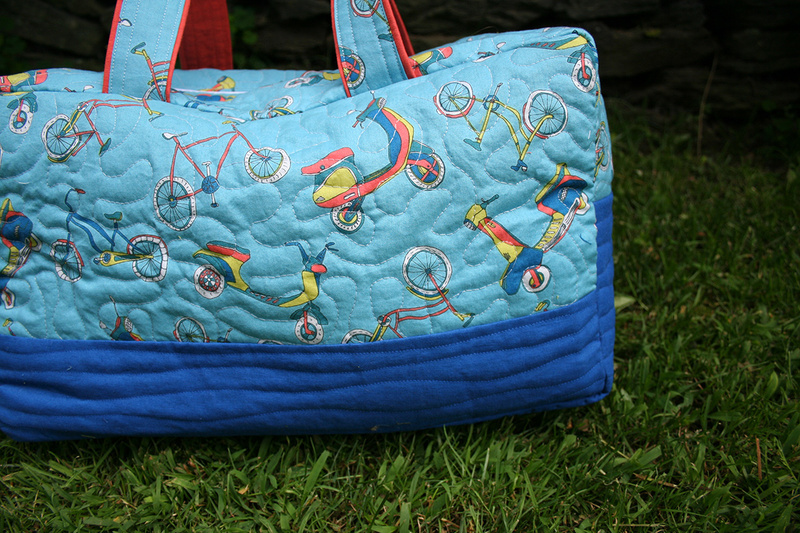 love it, and great job on the quilting! Wow! That bag is awesome! I love the use of different quilted textures.